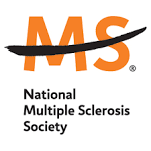 The National Society mobilizes people and resources to drive research for a cure and to address the challenges of everyone affected by MS. In 2012 alone, through our home office and 50-state network of chapters, we devoted $122.1 million to programs and services that improved the lives of more than one million people. To move us closer to a world free of MS, the Society also invested $43.3 million to support more than 350 new and ongoing research projects around the world. We are people who want to do something about MS now. Join the movement at nationalMSsociety.org.